Following the Huadu District in South China car, leather production base after another young sunrise industry --- the rapid rise of gold and silver jewelry industry. 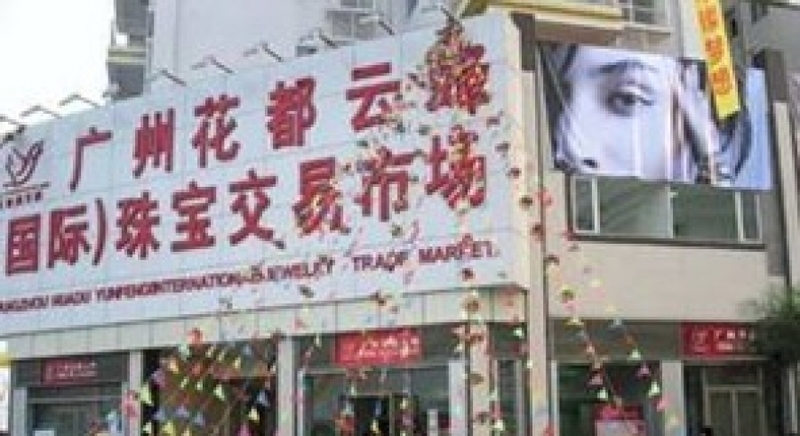 Since 2001, from small to large, with extraordinary speed development, not only become a pillar industry of Huadu District, Huadu also became an important origin of the jewelry. Located under the Huadu International Jewelry Yajishan is Huadu Jewelry City industrial park, the overall planning area of 5,000 acres. More than 40 production companies, mainly in the export of gold and silver jewelry inlaid with precious stones and semi-production processing. 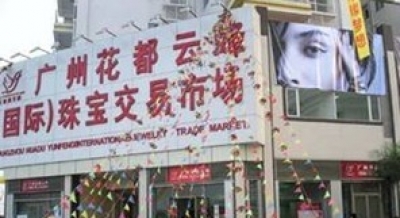 In 2005, annual production value of jewelry city 380 million yuan to achieve GDP7600 million export value of about $ 18,860,000, to achieve exports worth $ 2.1 million. The June 11, 2006 officially opened its doors in Huadu Yunfeng (International) jewelry market is focused on creating Huadu District, the second large-scale jewelry trading center, construction has been basically completed, attracting overseas close attention to a number of jewelers, the famous Hong Kong jewelry tycoon Tse Sui Luen, Li Jiansheng, president of the Hong Kong new jewelry, and other internationally renowned jeweler Huangzhi Bing has taken the lead booking settled.